Sooo last time I posted was a year and a half ago, where I mentioned being really busy and starting grad school. Since then I have taken most of the classes required for my major, completed a five month internship at a history museum, got a new job working a rare books library labeling and rehousing books, manuscripts and broadsides, and I started a new internship 2 months ago in a textile conservation lab. 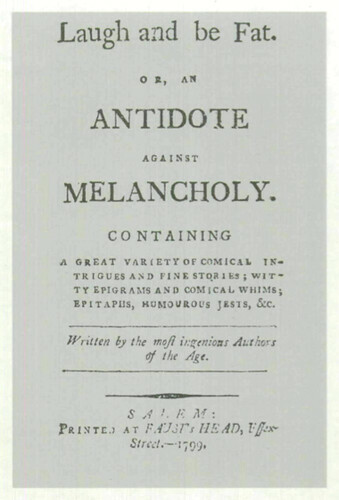 Here is a photo of an old book I found digitized online while researching at the museum this summer and the title still tickles me. I also put on a few more events and shows at Washington Street, and made a ton more art but had to give up my space in the studio this summer for at least the next year while I finish school. I miss all my Washington Street buddies and making gallery shows and events happen. A million and one family, personal and life things happened too, but most of those are a wild bummer of adult-life so I won’t be posting about those. Good things that happened include going to Iceland, Scotland, Northern Ireland, Chicago, and a couple more local trips to NYC and the Cape and Providence! Edward also changed jobs and now works in a bakery and restaurant and we are overall less stressed maniacs which is nice. I am going to be posting about my internship experience and whatnot, if only so I can keep a record for my personal use! Here is another advertisement, from the magazine Colored American, published here in Boston in the first years of the 19th century, edited by the amazing, talented Pauline Hopkins. This was found in the archives at the Museum of African American History, which I dearly loved interning at and miss working with the great people there. This advertisement is almost as silly as the image above and I wish I could just research old magazine adverts for the rest of my life, they are so wild. I hope they paid Pauline plenty for this full page ad, and hopefully their “cure” was at least harmless! There is one more advert I wish I could share with you, which is from a literary magazine from the late 1800s, but I don’t even have a photo of it, since it is part of the Harvard archives and I am 99% sure I am not supposed to take photos so I don’t! But it was for this product “Tarrant’s Seltzer Aperient” and had these super creepy anthropomorphized characters that looked a bit like something from Grimm’s fairy tales, all loving some seltzer. 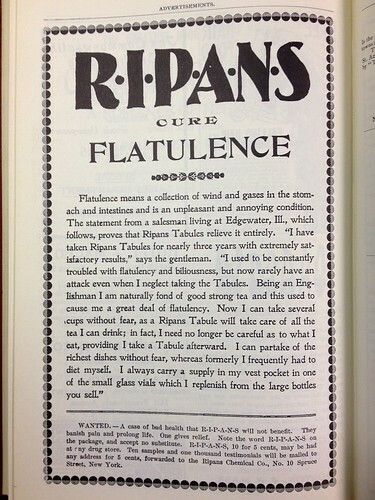 Here is one of Tarrant’s super weird advertisements in a trading card form (here are more). So weird, right? I hope if anyone looks at this blog that they want to see photos of old books and magazine and deteriorating textiles that I am helping to stabilize and conserve for exhibition and storage!